The Division of Fire Training is headed by Assistant Chief Jon Graf. The goal of the Division of Fire Training is to prepare our members to handle emergencies safely and efficiently. This goal is accomplished through lectures, hands-on training, and following the National Fire Protection Agency (NFPA) Standards to the best of our ability. The State of Ohio requires that all of our members receive 18 hours of continuing education in fire fighting to maintain their fire fighter certification. The State also requires all of our paramedics to receive 31 hours of continuing education annually. The department has seven certified public safety instructors that provide training for our members on a daily basis. The department also occasionally hosts classes of instruction that are provided by outside experts. Our average member currently receives over 100 hours of training per year. 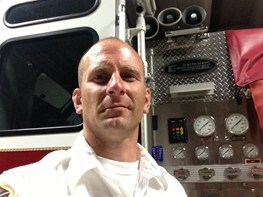 Assistant Chief Graf is a state certified Paramedic, Fire Service Instructor and Fire Safety Inspector. He is currently finishing up his Associate's Degree in Fire Science and the Ohio Fire Chiefs Maxwell Leadership Program. He will then be applying to the Ohio Fire Executive Program to continue learning new leadership and management skills that are applicable to the fire service. Assistant Chief Jon Graf can be reached Monday through Friday 8:00 a.m. to 4:00 p.m. at (440) 353-0816.